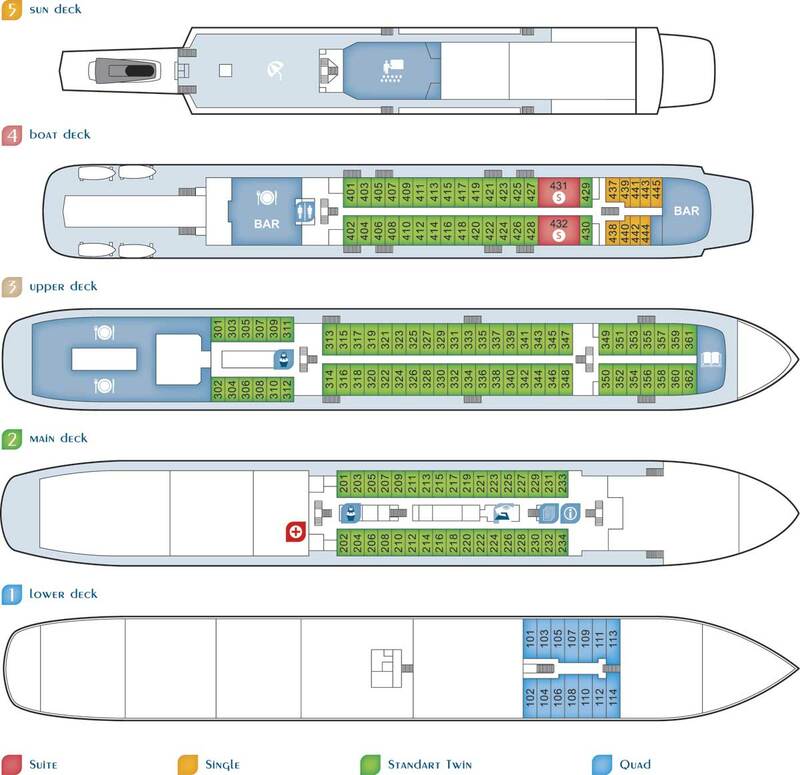 Built in Germany in 1989 and renovated in 2008 this 5-deck vessel is equipped with sophisticated navigation devices and modern facilities. 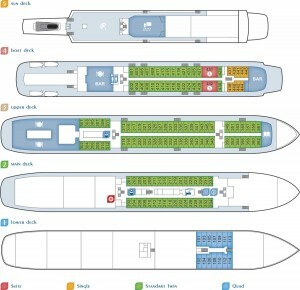 The total passenger capacity is 260 persons. 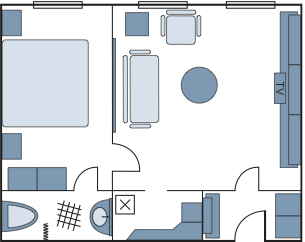 There are 126 twin cabins with two lower beds, 9 single cabins with one lower bed, 14 quads and 2 two-room suites. All cabins are outside.